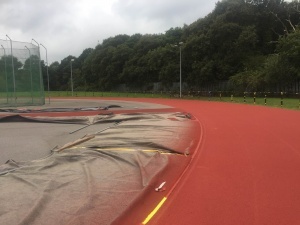 At the Bill Whistlecroft Athletics Arena in Yeovil, White Line Services carried out a full remark of the athletic track in April 2016. 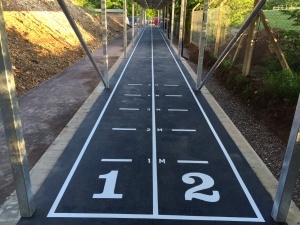 This entry was posted in England on May 25, 2016 by Marc Adams. 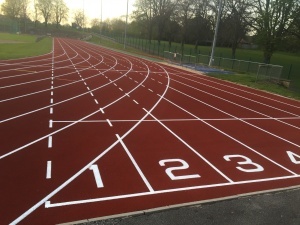 Radley college was a great example of an Athletic track that really benefitted from a high pressure clean. 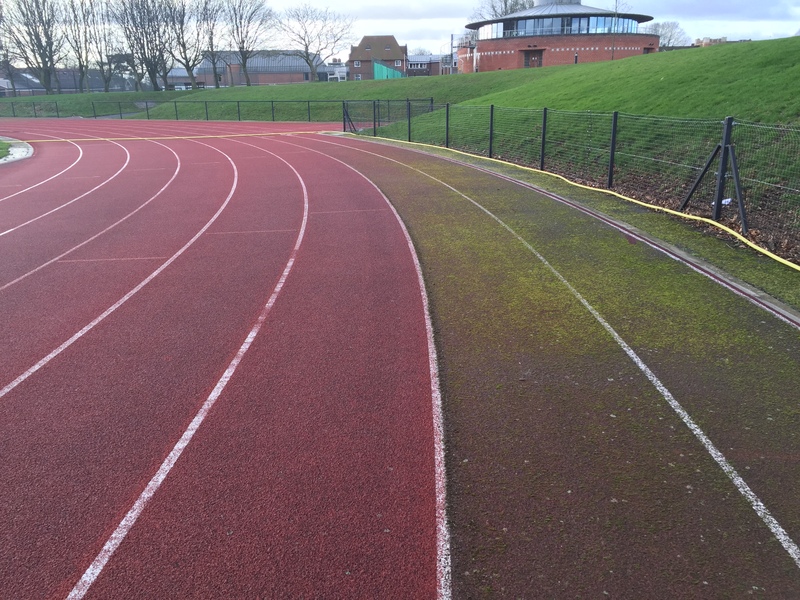 There was a lot of moss and algae on the surface when White Line Services cleaned it at the start of 2016. 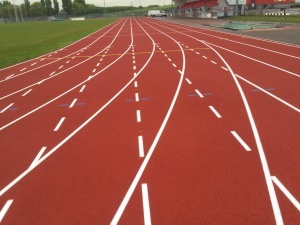 Here is an image of the track mid way through its clean. 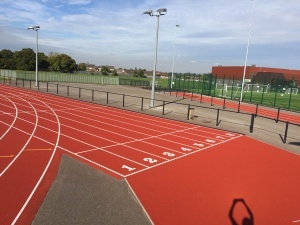 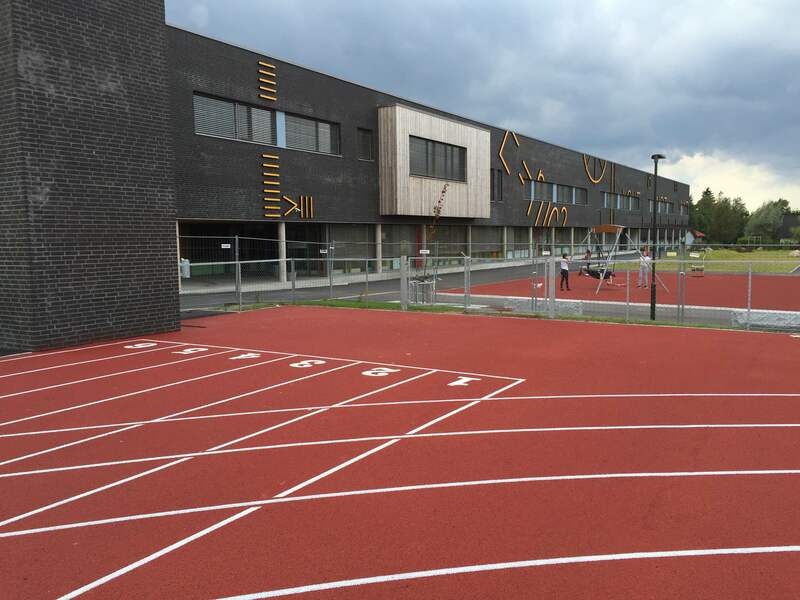 In 2015, the Athletic track at Leigh sports village in Lancashire was in need of some repairs to the track surfacing. 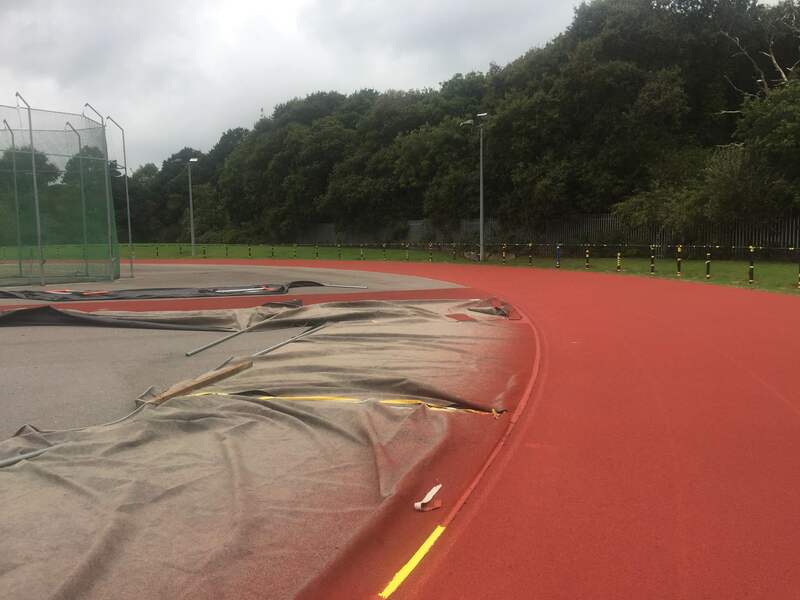 White Line Services repaired and remarked the outdoor athletic track in Lancashire in time for the summer sports season to begin. 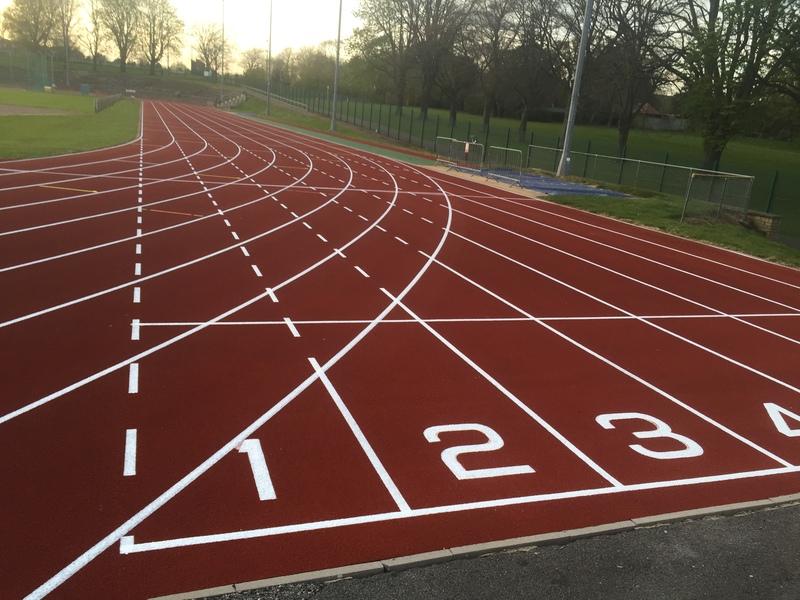 This entry was posted in England on January 20, 2016 by Marc Adams. 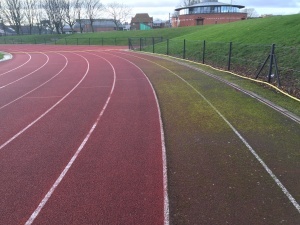 White line Services carried out maintenance on the Keepmoat Stadium Athletic Track in Doncaster 2015. Recently, we returned again to carry out further track repairs and remarkings. 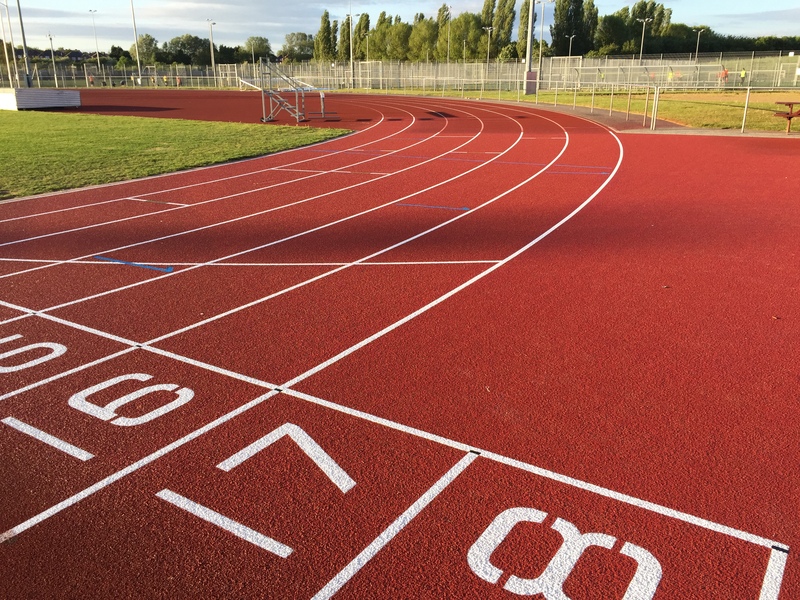 With a newly sprayed 100m home straight, the Keepmoat Athletic track in Doncaster is ready for action again. 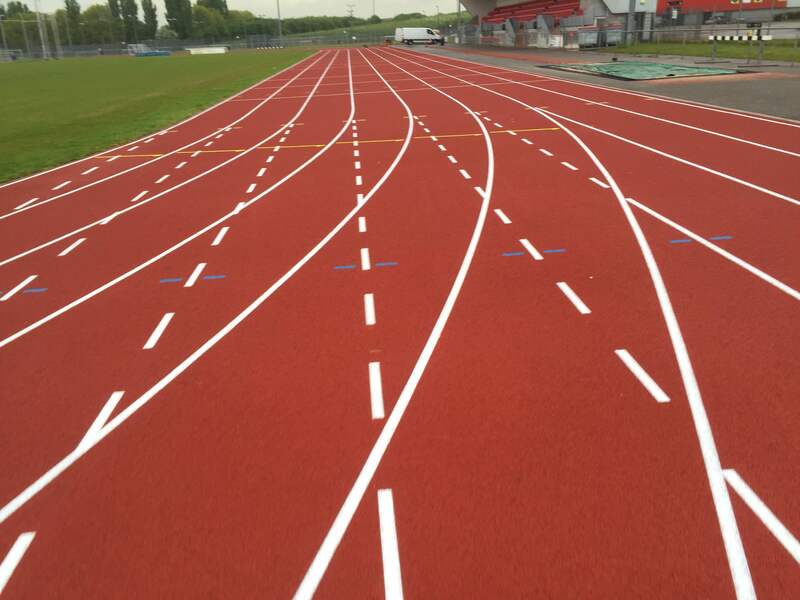 Linford Christie Stadium, London gets its covered sprint track surface completely relaid by White Line Services in August 2015. 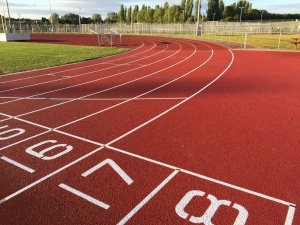 The sprint track was opened in 1973 and in 2015 it was decided the covered track needed to be updated, some new kerb stones replaced and the base layer replaced too. 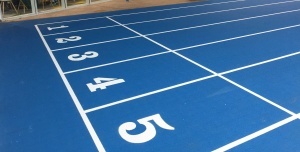 The complete sprint was then resurfaces and surveyed and painted. 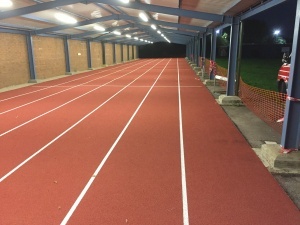 This entry was posted in England on November 3, 2015 by wladmin. 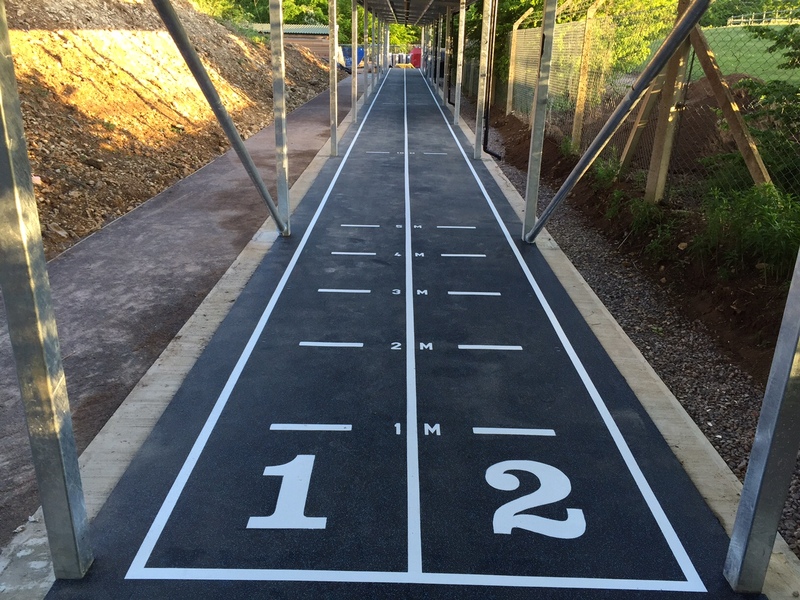 The UK’s only bobsleigh/skeleton push-start track at ​Bath University. 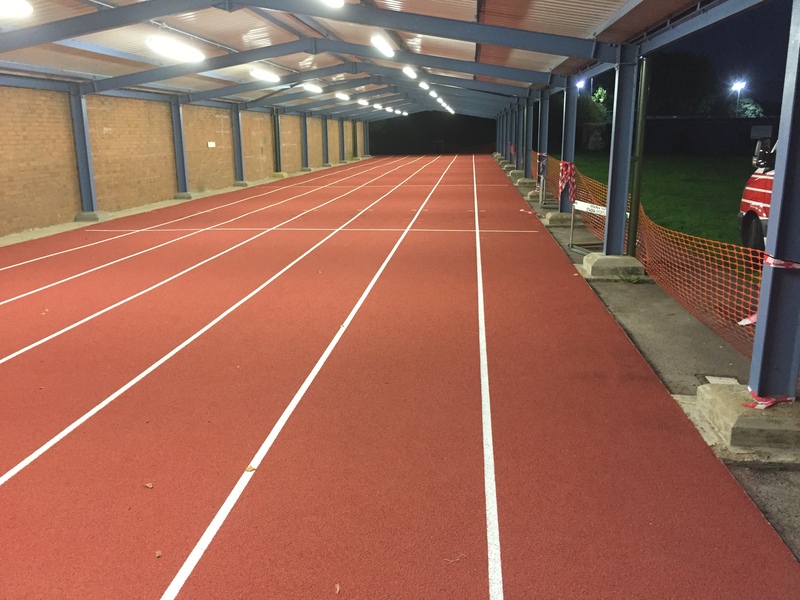 This entry was posted in England on September 22, 2015 by wladmin. 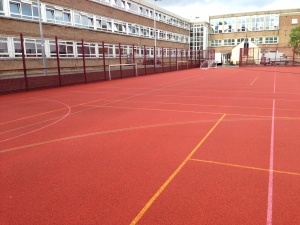 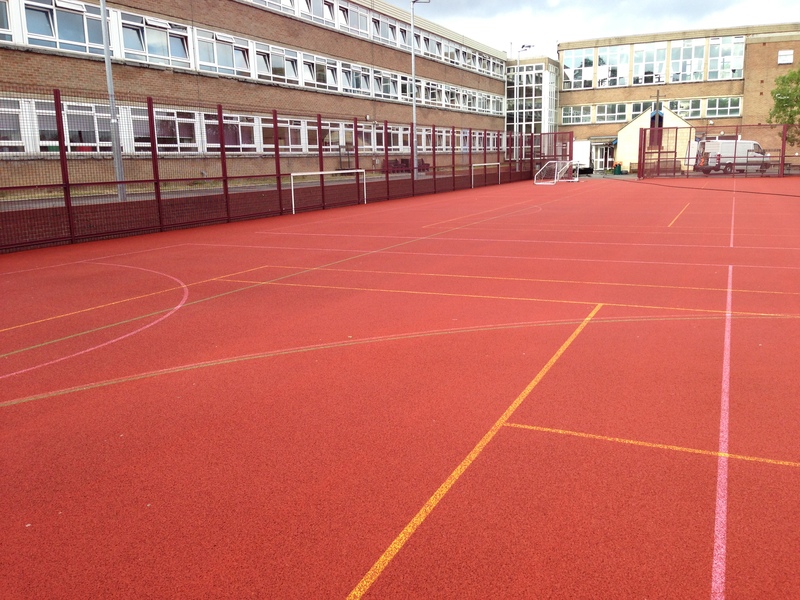 We have high pressure cleaned a multipurpose sports area in London.